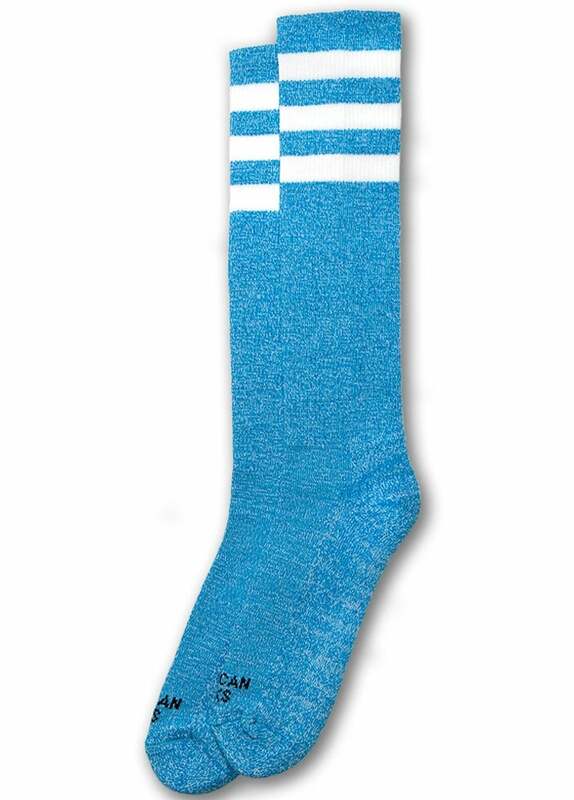 The BlueNoise Knee High Socks from American Socks are inspired by a 70s suburban culture of skateboarding but with an eco-friendly production. The blue striped knee high socks are designed for action and endurance with a reinforced heel, sole and toe and a comfortable padded step. Excludes sale & clearance items and footwear supplied direct by Altercore, Bordello, Demonia, Funtasma, Hades, New Rock & Pleaser USA. Please note: If goods are cancelled/returned for a refund and the final value of your order falls below £60 the delivery fee of £4.99 will be applied.